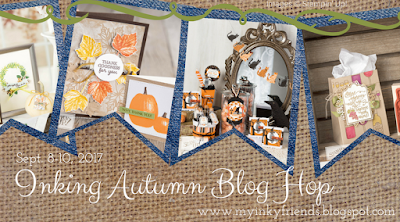 Welcome to my stop on the Inky Friends' Inking Autumn Blog Hop. 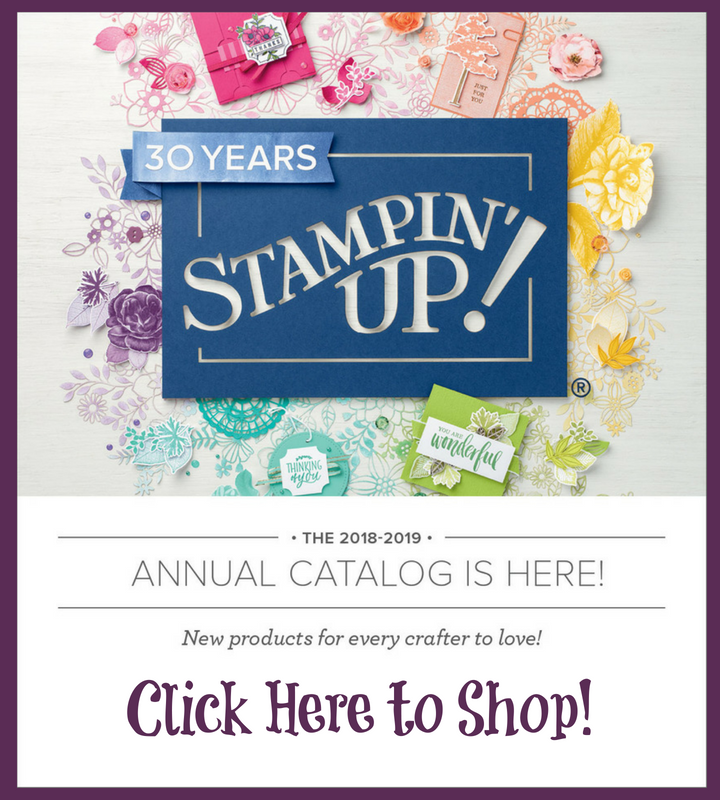 This month we are featuring the products from Stampin' Up! 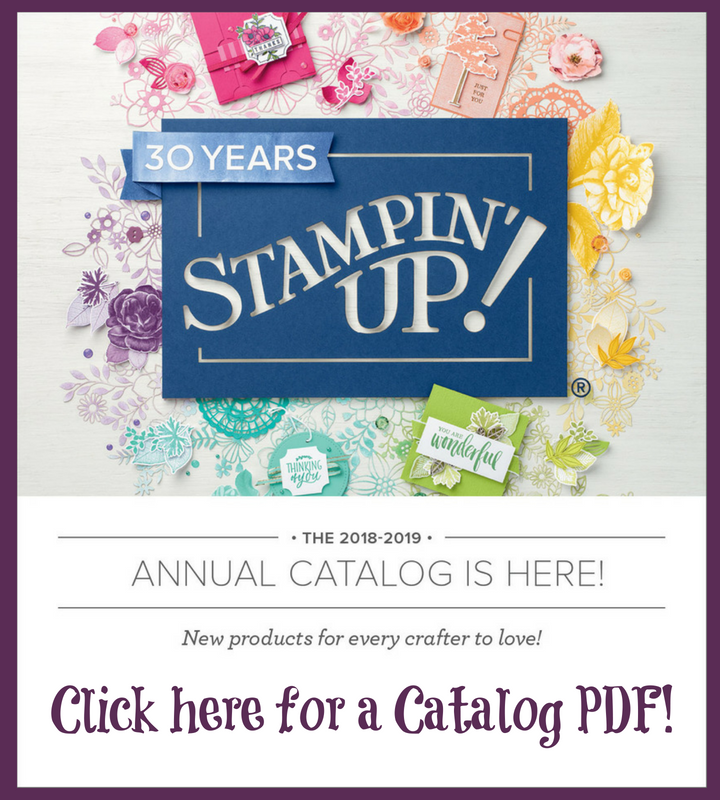 's BRAND NEW Holiday Catalog, which features seasonal products you can use year round. I chose to showcase the Wonderful Life stamp set at this spot. You may be starting the hop here, or maybe you came from Tanya's Blog featuring Merry Cafe. Didn't her projects blow you away? I brought out the embossing paste for a background on my Bermuda Bay cardstock. I used Basic Black Ink on Watercolor Paper along with ink and my aquapainters. Fun, quick, and cute. My favorite kind of card. My second project is another wedding card. 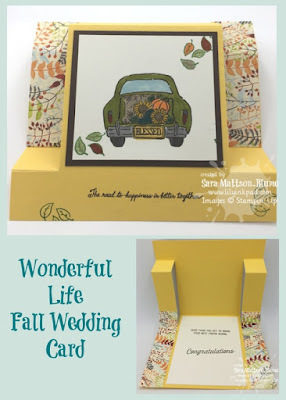 This time, for a fall wedding. I used a fun fold technique to pop out the main panel. I love how the pattern on this piece of paper from the Painted Autumn works well with the colors I chose in my markers. I used markers because I wanted saturated colors. Plus, it was stress relieving after a long day with 6th graders. Inside, I used the sentiments from flourishing phrases so that the card reads, "The road to happiness is better together. Good thing you get to bring your best friend along. Congratulations." I used paper piecing on the car and presents. 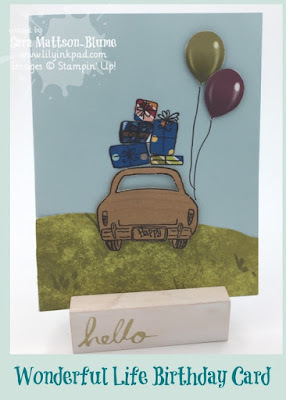 I stamped the car using Basic Black on a Wood Texture piece (to harken back to wooden sided station wagons). I then stamped the presents directly on the Pool Party background cardstock. Next, I stamped the presents on various parts of my Designer Series Paper and cut them out with the paper snips. I also cut out balloons from another piece and added the strings by drawing with my Basic Black Marker. The ground is hand cut, also. Pretty, cool, huh? My final card is a card I just had to make. The pieces and parts were staring at me begging to be stamped. A Christmas Card in style. I love this fold, but none of my framelits fit my images, so I used my Paper Trimmer instead and measured. That was a lot of math. I think I should record the math for my students so they see that math is real life. I used my markers again on this card as I wanted bold colors. Well, that's all folks. Wonderful Life stamp set is very useful for many holidays and also very fun to play with! I hope you enjoyed my projects. Click next below to see Mickey's work with Painted Harvest. She always makes beautiful cards. If you want to go backwards, click previous for Tanya's Merry Cafe. 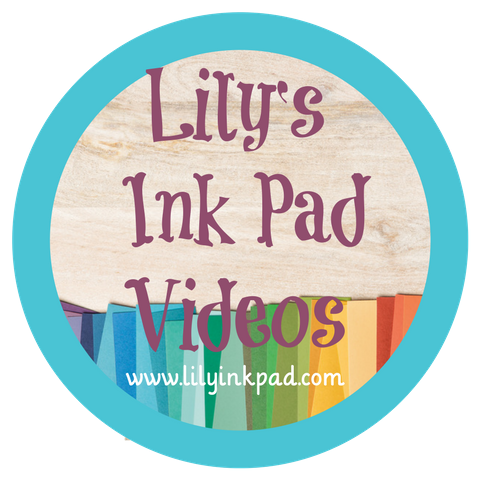 If you get lost, you can click on the image at the top to go to the Inky Friends Blog. 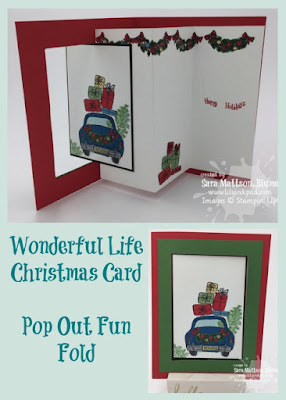 Great cards, Sara! I love all of the fun folds and how you show off the versatility of this set! Oh my! I love every one of these! FANTASTIC job!! 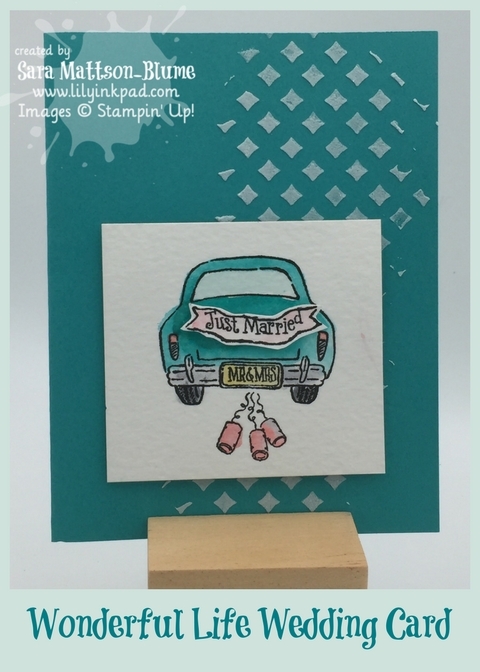 Your car stamp sure got some mileage for this hop! Love the fun fold card for Christmas, but the fall, birthday, and wedding cards are adorable, too. You should definitely show the kids how the math is used for every day. I get so irritated with the folks who tell their kids that they'll never use what they learn in real life. What bologna! Such adorable designs with this sweet set! YOu really showed the versatility and great fold designs! !